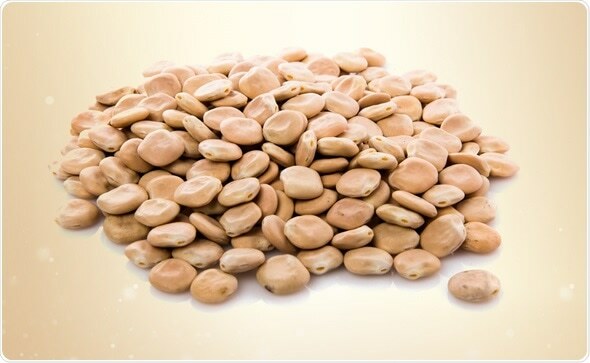 Lupin has shot into public attention as a legume with high protein content and one which offers better glycemic control. Derived from Lupinusangustifolius, its use, particularly in baked gluten-free products, has gone up steeply over the last decade, especially in Europe. However, the downside of this is also becoming apparent, with many reports of lupin allergies and even anaphylaxis cropping up. Lupin allergy is seen mostly among patients who already are sensitive to peanuts, or who have atopic reactions such as eczema. However, severe lupin reactions may occur for the first time in adults who have never had any previous atopy or legume allergy. This may be due to the fact that they have never had any previous symptoms. As little as 0.5 mg of lupin flour can cause lupin allergy symptoms. The symptoms of a first-time lupin allergy may range from urticaria, swelling around the lips, and vomiting, to severe anaphylaxis. They also include rhinitis, asthma, and conjunctival irritation, especially when lupin flour is inhaled in the workplace by a sensitized individual. Sensitization is observed in approximately one out of three workers in such industries. The components in lupin which cause allergy are α- and β-conglutins, with γ- and δ-conglutins contributing to a lesser extent. Lupin may present a new antigen which evokes a new allergy. However, all individuals who are sensitive to lupin flour do not have clinical allergies. 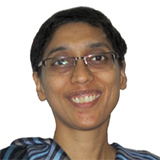 Lupin allergy is diagnosed using medical history followed by skin tests and specific IgE testing. However, even the patch test can cause symptoms of allergy in people who are very sensitive to lupin. Children who have peanut allergy should be tested for lupin allergy as well. 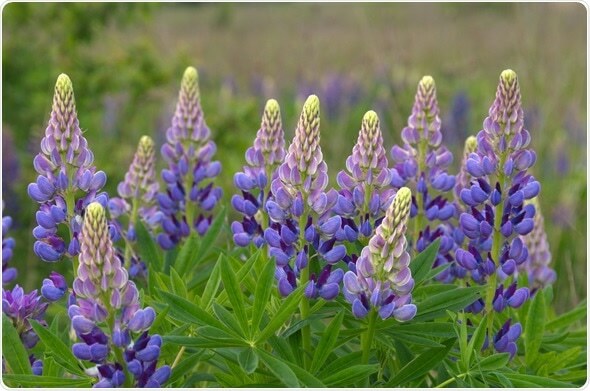 Prevention of lupin allergy requires avoidance of the ingestion or inhalation of lupin flour. Symptomatic treatment of the allergy with corticosteroids, bronchodilators, and eye drops may be required depending on the specific presentation.